Capo d’Arte, a non-profit organisation which promotes contemporary art and culture in Salento, presents the ninth edition of its summer event in Gagliano del Capo, in the Province of Lecce, Puglia, whose artistic direction is carried out by Fantom’s Massimo Torrigiani. 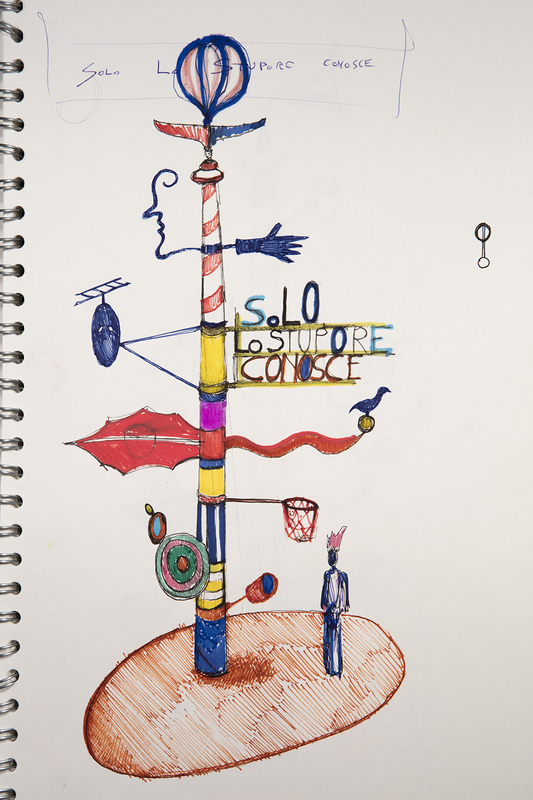 This edition sees the participation of Lorenzo Vitturi, with his new site-specific sculpture Solo lo stupore conosce (Only Amazement Knows), which will be unveiled in the Villetta, the public garden in Via Roma, opposite the the town hall, on Saturday 28 July, at 8:30pm. On the same day, at 7pm, Palazzo Daniele will inaugurate the exhibition Prove e Motivi (Trials and Motives), the result of the first collaboration between acclaimed French artists Éric Baudelaire (b.1972) and David Douard (b.1983), who were hosted in Gagliano del Capo as part of the 2017-18 residencies offered by Villa Medici, an associate of Capo d’Arte since 2016. 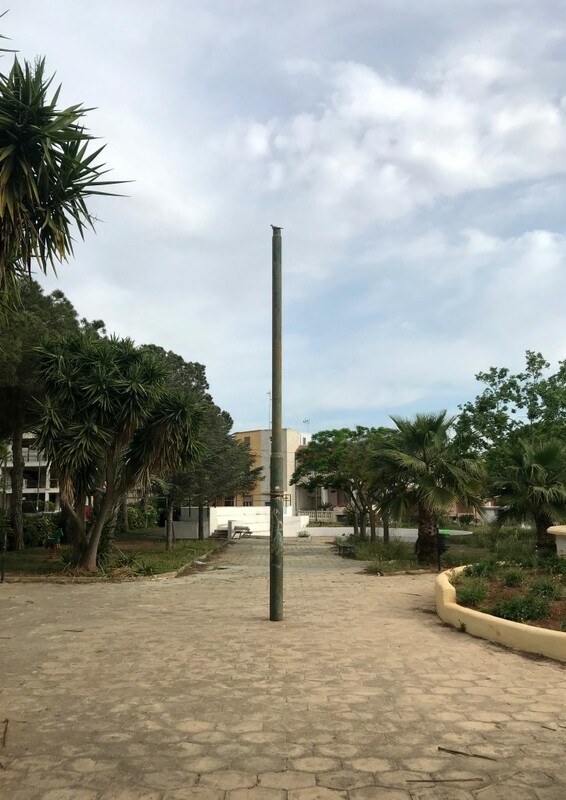 Solo lo Stupore Conosce (Only Amazement Knows) originates from a pre-existing piece of street furniture, for a long time deprived of any functional value: a simple pole. Located inside the “Villetta” in Via Roma, the rod caught the attention of the artist, whose work is always based on the collection and rearrangement of objects, signs and materials of the places where he works. Vitturi provides these items with new perspectives and new lives, through the juxtaposition of disparate elements—ranging from local craftsmanship to popular traditions, and to everyday objects—by analogy and contrast. On this occasion, the artist encircled the pole with playful and colourful elements, even a real basketball hoop, the result of the suggestions gathered together during his journey in Salento, under invitation of Capo d’Arte, but also on the occasion of his recent travels in Perù and in Venice, the artist’s hometown, both cultural references for this project. The title of the work is a quote from Gregory of Nissa, a Cappadocian theologist who lived in the 4th century, “Concepts create idols. Only amazement knows.” invites us to be amazed by the simple beauty of the everyday, and to observe how a gesture or a gaze are capable of transforming even the most ordinary element of a landscape, into something extraordinary, fairy and weightless. 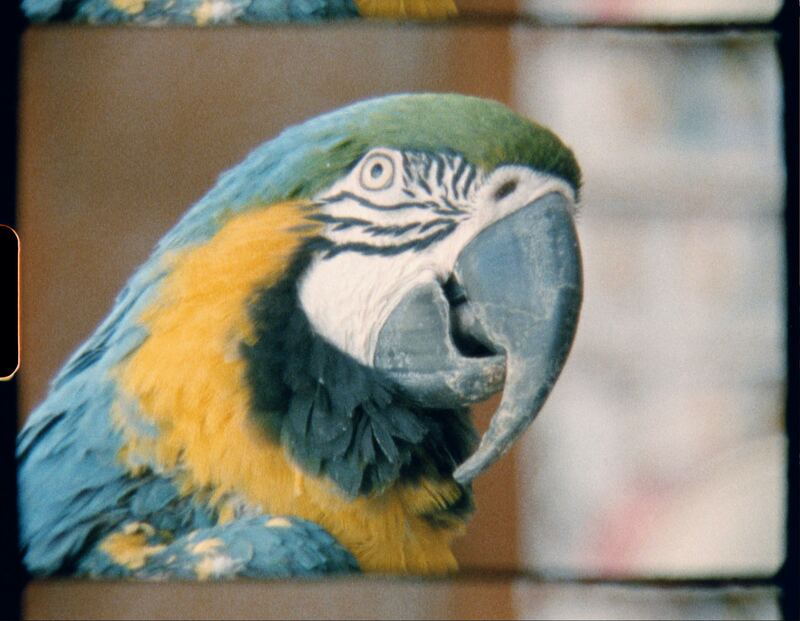 The video-installative exhibition Prove e Motivi (Evidence and Patterns), opening earlier on Saturday, 28 July at 7pm, is the result of the first collaboration between Éric Baudelaire and David Douard, amongst the most appreciated artists in the international scene, carried out as part of the 2017-18 residencies organised by Villa Medici. Baudélaire and Douard spent a few weeks in Gagliano del Capo back in April. Exploring the land of Salento, the artists’ attention was caught by the olive trees, severely damaged by the bacteria Xylella Fastidiosa, in particular in the Municipality of Ugento. This theme was the starting point for the artists’ research, which continued into an artisanal weaving workshop owned by the Liso family in Alessano, and in the municipalities of Castrignano, Leuca, and Gagliano. Up to the production of the installation Prove e Motivi. The exhibition, open to the public until Saturday 1 September (6–10pm), begins with a sculpture and continues into a bright white basement with two video projections and a sound piece, the result of the footage and field recordings produced in the course of the residency. The project is supported by Total E&P Italia. Éric Baudelaire is an artist and film maker, currently a fellow of the French Academy in Rome – Villa Medici. His movies have been selected at the festivals of Locarno, Toronto, New York, Rotterdam and the FID in Marseille. His artistic production, always linked to a long research process, includes photographs, prints, sculptures, performances and publications, which are integrated in the form of installations around his films. Among his recent solo shows are those at the Centre Pompidou in Paris, the Witte de With in Rotterdam, the Fridericianum in Kassel, the Berkeley Art Museum, the Beirut Art Center and Gasworks in London. David Douard, a graduate from the École Supérieure des Beaux Arts in Paris, is currently a fellow of the French Academy in Rome – Villa Medici. He collaborates with the gallery Chantal Crousel in Paris, and his work has been presented in a number of Franch and international institutions, such as the Museum of Modern Art in Paris, the FNAC, the FRACs in Île de France and Limousine, thee Panacée of the MoCo in Montpellier, the Fridericianum in Kassel, Palais de Tokyo in Paris, the Taipei Biennial, the Sculpture Center in New York and the Astrup Fearnley Museet in Oslo. 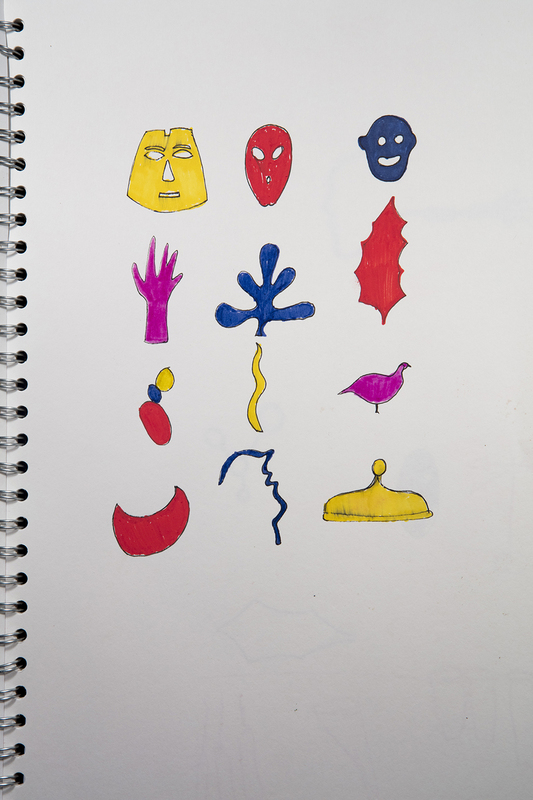 Douard’s artworks are currently on view as part og the group shows Another banana day for the dream-fish at Palais de Tokyo (Paris), and Take Me (I’m Yours) at the French Academy in Rome – Villa Medici. His work will be presented at the Gwangiu Biennial from September 2018.